Welcome to My Skin Solution. Please take some time to read the following conditions applicable to the use and enjoyment of products and services provided on the site. You understand and agree that the owners of this site shall not be liable for any direct, indirect, incidental, consequential or exemplary damages, including but not limited to, damages for loss of profits, data or other intangible losses, or damage resulting from the use or the inability to use the product(s) and or service(s) or any misuse of the product(s) and or service(s) in a manner not in accordance with their intended use. Please be aware that some of our products are not suitable for pregnant or breastfeeding woman. If pregnant or breastfeeding it required that you complete the online skincare consultation before purchasing any of our products. Click here to complete an online skincare consultation. 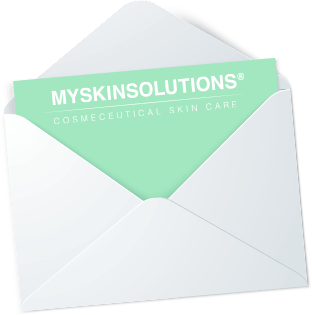 My Skin Solution wants to ensure that all of our customers can shop with complete confidence online. We have taken every possible measure to give absolute security to our customers in their dealings with us. Our e-commerce system uses Secure Socket Layer (SSL) technology to ensure your shopping experience is safe and secure at all times. SSL encrypts all of the personal information you enter so that it is almost impossible to be intercepted by an unauthorised party. This is the system that is used by all reputable e-commerce sites. We collect the email address of those who communicate with us via email, aggregate information on what pages consumers access or visit, user specific information on what pages consumers access or visit and information volunteered by the consumer, such as survey information and/or site registrations. The information we collect is used for internal review, used to improve the content of our website, used to customise the content and/or layout of our page for individual consumers and used by us to contact consumers for marketing purposes.